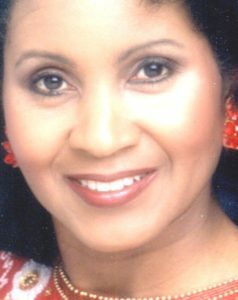 MK Henderson is the founder and director of BNIIA, non profit, and is a professional speaker and media coach. She has BA degrees in Mass Communications and Biblical Studies with a concentration in sociology from Evangel University. She earned a MA degree in Mass Communications from Regents University . As a former radio announcer and TV news co-anchor she relied upon her media expertise to operate a full service public relations agency in New York City. The agency provided news stories and/or guests for programs such as Good Morning America, Geraldo, Joan Lunden and others. MK worked with celebrities such as Denise Richardson, Kathie Lee Gifford, Pia Lindstrom, Hugh Downs and Matt Lauer..
MK ‘s press releases have appeared in twenty plus newspapers throughout the country from the New York Times and Wall St Journal to the Los Angeles Times. She is a member of the International Press Association. ​MK also dedicates her life to healing and restoring women and children in the USA and third world countries. MK has traveled to : England, Canada, France, South Africa, Thailand, Qatar, UAE, Jordan, Taiwan, China, Japan, Israel, Mexico, Russia, Belgium, India, Nepal, Singapore and Malaysia. MK effectively speaks her message of hope, healing and restoration to the global community and as an advisor to leaders for nations in turmoil. MK Henderson continues to travel to third world countries with her message of hope. After going through her own family tragedy she knows that behind every dark cloud there is a rainbow.